Tracy Harris is a 21-year-old chemistry student who enjoys painting, adult colouring books and writing. She is stable and creative, but can also be very pessimistic and a bit impatient. Similar to the fact that oxygen is the prime component in deciding our survival, it is also essential to rejuvenating dull and ageing skin, which helps in clearing wrinkles and fine lines. 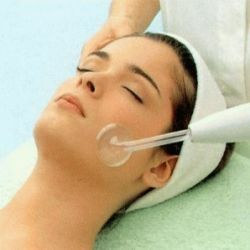 Oxygen facials are popular for nourishing the skin using a stream of pressurized oxygen. This hydrates the skin immediately and makes it appear smoother and plumper. Oxygen Intraceutical Facial is more than a facial and can deliver unbelievable results to your skin. In this post, we will understand the various signature treatments that fall under intraceuticals and how it is different from the normal oxygen facial. Keep on reading girls! What is different in an Oxygen Intraceutical Facial? Unlike in simple oxygen facials which atomize or spray oxygen to the skin, intraceutical facials make use of therapeutic oxygen to infuse a special serum onto the skin, which consists of essential vitamins, minerals and antioxidants. This is a complete and balanced treatment which includes exfoliation, hydration and oxygen infusion. Unlike in other oxygen facials, it not only rejuvenates the skin but also energizes the skin cells to help them fight against bacteria. This particular facial helps the skin in retaining the moisture so that the skin looks beautiful forever. Rejuvenate: This particular treatment targets premature ageing, fine lines, sagging skin and visible pores. Hyaluronic Acid, which is already present in our skin naturally, is also used in the serum applied for this particular treatment. It gets absorbed in the skin and forms a hydrated layer to seal in the skin’s nutrients which ultimately maximises synergistic effects and rewards you with long lasting results. This proves effective as it creates an invisible barrier against hydration loss and thus improves the results significantly. Atoxelene: The skin loses elasticity and become shabby and saggy over the years, absorbing out its complete radiance and beauty. It becomes dull and blemish prone. This is when it requires a rejuvenated atoxelene Oxygen treatment, which soothes expression lines and makes eye contour and lips look more defined. This treatment targets expression lines and with this cool and calm treatment, it increases the firmness and betters the volume of the skin. It increases vitality and hydrates the full face by increasing the benefits exponentially. Opulence: Stressed skin, visible redness, dark circles, excessive pigmentation devitalizes the skin. Opulence treatment under oxygen Intraceutical facial contains a blend of botanical brighteners and concentrated Vitamin C which targets even skin tone. It also contains double concentration of multi-weight Hyaluronic acid for the delicate eye area. It evens the skin tone and removes the wrinkles and sagginess surrounding eyes, making them glowing and attractive! With these safe and widely accepted treatments, you will see how your skin emerges deeply hydrated, more luminous and glowing with vitality. Go for them and get ready to impress your audience.